The uniqueness of the MS CSIS program merges faculty from two different disciplines to give you the technology, science and business skills you need to thrive in the global economy. Both departments are housed in the Computer Information Systems Building to facilitate the interaction of projects and ideas. The Business Analytics, Information Systems & Supply Chain Department offers courses in information systems, operations and production management, statistics and management science. The mix is unique, combining quantitative methods and analytical approaches to solving problems in all areas of a business utilizing current technology. BAISSC faculty are young and progressive, with more than 50 percent of our faculty receiving their Ph.D.'s in the past 10 years. IS concentrations require innovative faculty who stay current in their fields. Dr. Hyunbum Kim received his Ph.D. degree in Computer Science from the University of Texas at Dallas. Dr. Hyunbum Kim’s research interests include algorithm design and performance analysis in various areas including Unmanned Aerial Vehicles (UAV), Wireless Sensor Networks (WSN), Vehicular Ad hoc Networks (VANET), mobile computing, distributed computing, cyber physical systems and cyber security. His work appears in highly prestigious international journals and conferences including Elsevier Computer Networks, Ad Hoc Networks, IEEE ICC, GLEBECOM, LCN, ICNC, ICON, etc. He is a member of IEEE and ACM. Also, he is a recipient of the best student paper of IEEE International Conference on Networks (ICON) 2013. 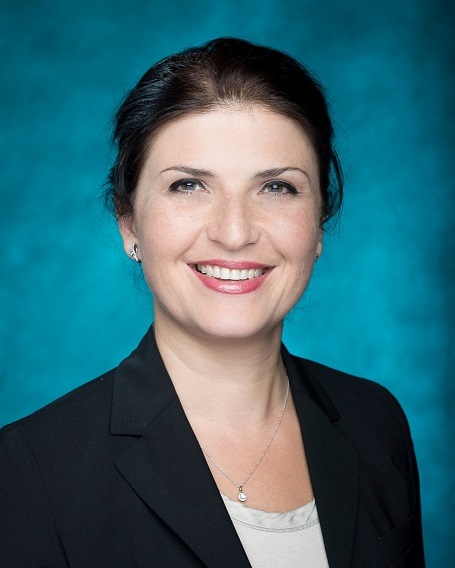 Dr. Ulku Clark’s research interests span information communications technologies; telecom policy; information security; IT productivity; healthcare IT; quality management and innovative education. She holds an MS in Information Technology and Management and a PhD in Management Science with Management Information Systems concentration from The University of Texas at Dallas. Dr. Clark served as an advisor on MSCSIS capstone/thesis projects involving networking, information security and telecom policy issues. Dr. Toni Pence’s areas of interest include human computer interaction, virtual and augmented reality, user interface design, simulation training, intelligent virtual humans, and usability design and experimentation. She holds her Ph.D in computer science from Clemson University and her work has received funding from the National Science Foundation. Dr. Pence has advised MSCSIS capstone projects involving user interface design, web application design and implementation, and technology education. Dr. Christopher Sibona’s areas of interest include system analysis and design, continuance intention, social media and management of information systems. He has published extensively on reasons for unfriending, the emotional response to being unfriended, contextual issues in unfriending, and satisfaction with social media. He earned a Ph.D. in computer science and information systems and an MBA from the University of Colorado Denver and a B.S. 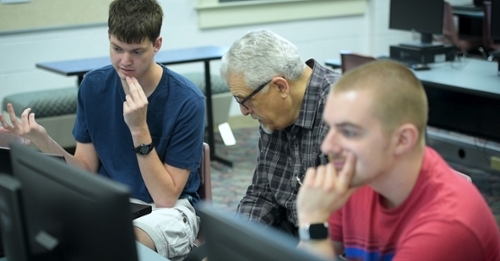 in computer science from Virginia Tech. Dr. Brittany Morago’s research interests include computer vision and graphics. Her research projects have focused on image registration and 3D reconstruction using photographs, videos, and 3D LIDAR range scans. Applications of her work include creating 3D videos for situational awareness and augmented reality programs and providing geological engineers with real-world measurements from virtual data. She studied Digital Arts and Sciences at the University of Florida and received a Ph.D. in Computer Science from the University of Missouri.